Add £120 to this order to pay in easy instalments. Sleek and stylish, this Kim Minchin Skull Charms Large Gold Hoop Earrings is a must have for any occasion. 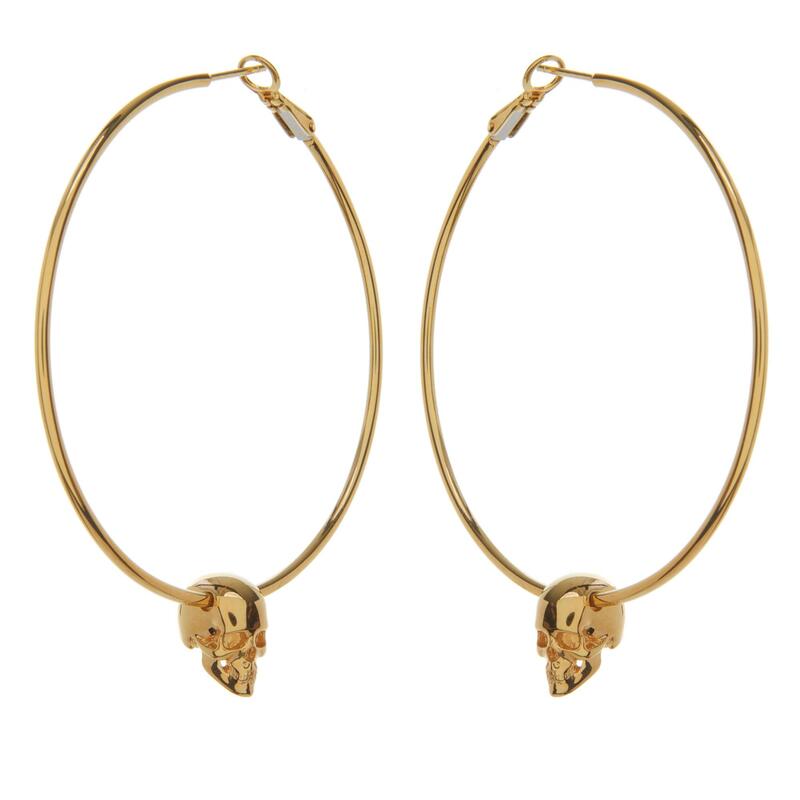 The hoops are of the size 60mm, finished with a skull charm. The earrings are made from 925 Sterling Silver And 14k Gold Plate.